As a dancer, you don't consciously think about the health of your back. If you are like me, you take your back for granted until you have an injury. By taking a few preventative measures, you can stop injuries from occurring, and stay fit on the dance floor. 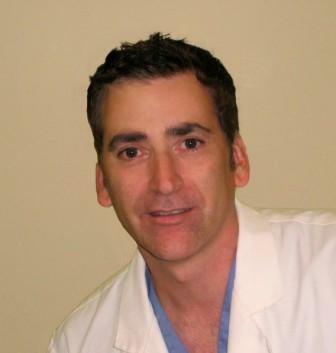 Dr. Jack Giangiulio is a dance injury doctor located in Newport Beach, California. Dr. Jack is a sought-after lecturer and consultant to numerous professional dance companies, college dance departments, schools of dance, and summer intensive dance programs. In answer to my questions about back health for Irish dancers, Dr. Jack lends some professional advice to Irish dancers who wish to keep their bodies healthy and strong. What can a healthy, uninjured dancer do to keep their back healthy and prevent injuries? 2) Keep your muscles flexible--stretch. This can be a hard concept for dancers who feel that they are flexible and stretch enough. Compare all of the hours you use your muscles to the amount of time you spend stretching them. Regular massages may also be of benefit to aid in loosing those muscles. 3) Cross-training: doing something active other than Irish dance, for example yoga or some other activity (yoga is probably the best). This will help to keep the muscle strengths balanced around the joints--a balanced joint equals a healthy joint, which means less injuries. 4) Proper hydration and eating habits as well as taking multivitamins/minerals to fuel the body and to give it what it needs to heal. If a dancer has an injury, what steps should she/he take to get back into dance? 1) Get treated by a doctor and or therapist. 2) Do not stop dancing unless it is an absolute must. Instead, limit the number of days and/or hours of dance. Also limit the activities in dance that produce the pain or aggravate the injury. 3) Before dancing and your usual dance warm-up, briskly walk for 6 min and then lightly stretch the injured area. After dancing, ice the injured area for 10–20 minutes. Remember not to dance immediately after icing; it will re-injure the area. You will need to warm-up the area again with the brisk walk and stretching. When is a back injury considered so severe that a person should stop dancing? 1) If the injured area is unstable. 2) If severe pain and/or inflammation, or severe swelling occurs with dancing. 3) If an experienced dance injury doctor tells you not to dance. What stretches can a dancer do to maintain back health? Stretch the Latissimus Dorsi, Piriformis, Hamstrings, Quadriceps and Calves. If these muscles are tight they will increase pressure in the low back. This increased pressure may lead to joint or disc injuries. For the low back itself: Prone lumbar extension stretch, knee-to chest-stretch and lumbar rotation stretch. Does diet have anything to do with general back health? The things we eat affect the chemistry of our bodies. A poor diet increases catabolic hormones (destructive) and decreases anabolic hormones (building). This will create a pro-inflammatory state and increase cortisol levels (the stress hormone), which in turn irritate muscles and joints causing muscle tightness. Here are some foods that decrease pain and inflammation: cold water fish, onion, garlic, cayenne and ginger. There are many more. Here are some types of food that enhance pain and inflammation: dairy products, red meats and sugars. There are many more. What should an Irish dancer (who performs many jumps and leaps and pounds the floor with rhythm) be aware of when it comes to keeping his/her back healthy? When it comes to Irish dancing it is important to remember that repetitive jolting especially in rhythmic patterns may have damaging effects on the back, especially the disc. It is important to do whatever it takes to keep the low back healthy; strict attention to foundational dance techniques, chiropractic adjustments, proper diet, stretching and massage will all help with this. To find out more information to keep you dancing healthy, go to Dr. Jack's website.